Art Central (until 1 April) returns to Hong Kong’s waterfront this week for its fourth edition, under the leadership of a new director, Shuyin Yang. Another addition is Ying Kwok, the curator of the Hong Kong pavilion at last year’s Venice Biennale, who is organising the special Projects section this year. Of the 102 galleries participating, 75% hail from the Asia-Pacific region, and 30 are showing for the first time. “Our vision for the 2018 fair is to create an attractive and accessible platform, which both new and established collectors can enjoy,” Yang says. She highlights “recent discoveries”, such as Jung Uk Yang from Korea, Malaysia’s Anne Samat, Australian Jason Sims, Taiwanese Huang Zan Lun, and China’s Zhang Xiaodong, as well as established names like Entang Wiharso and Wing Shya. Sydney’s 4A Centre for Contemporary Asian Art returns to present a second year of Performance X 4A, a programme of performances and interactions staged on the fair floor. 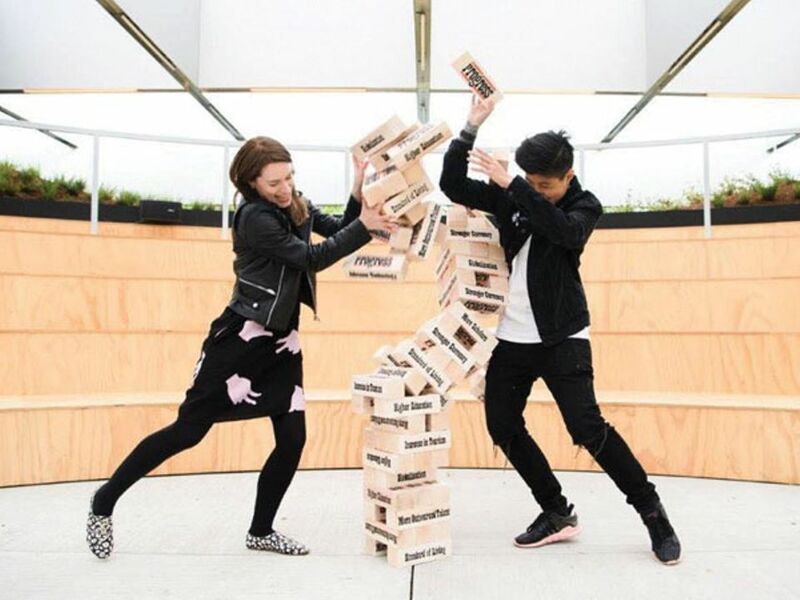 Singapore’s Sam Lo invites participants to play Jenga with oversized blocks representing the geopolitical climate, posing the question: “Where will you be standing when the First World falls?” The Filipino-Australian artist Caroline Garcia explores cultural appropriation and exotification through her Vitrine of Dancing Cultures. Hong Kong duo Sampson Wong and Lam Chi Fai investigate the city’s housing crisis, while Indonesia’s F.J. Kunting uses durational performance to muse on the challenges of communication. The independent Hong Kong curator Ying Kwok has gathered six works integrating new technology and media with traditional culture for this year’s Projects section. 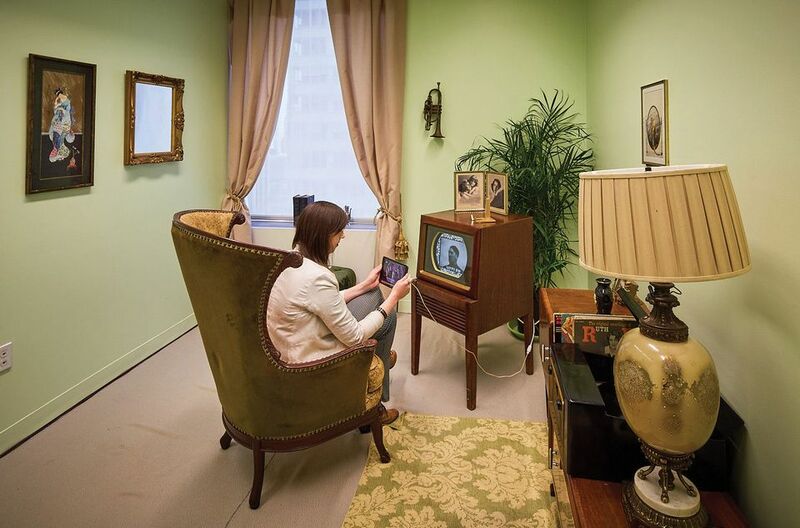 Andrea Wolf and Karolina Ziulkoski’s Future Past News recreates a 1937 drawing room, where visitors can watch newsreel footage from the period on a vintage TV and then on an iPad with an augmented reality app, inviting comparisons between that era and our own. The project, previously shown at the New Museum of Contemporary Art in New York, will also be available online and as an app. Sociopolitical commentary also infuses Entang Wiharso’s My Heart is Bigger than You Think (2013), a relief sculpture of entangled, supine, often dismembered human figures, one of whom declares: “It’s better keep quiet than make bad noise.” Wiharso, one of Indonesia’s foremost artists, participated in the 2015 Venice Biennale and bluntly critiques his country’s politics through traditional Javanese themes. The Hong Kong photographer Wing Shya continues to ride a wave of popularity, following a solo show at the Shanghai Centre of Photography. For its booth at Art Central, the Hong Kong-based Blue Lotus Gallery features works from his Sweet Sorrow and Happiness series. Originally a fashion and celebrity photographer, Wing captured Hong Kong during its 1990s cinematic heyday on the film sets of his mentor, Wong Kar-Wai, while documenting the city’s neon-drenched streets and disaffected youth.